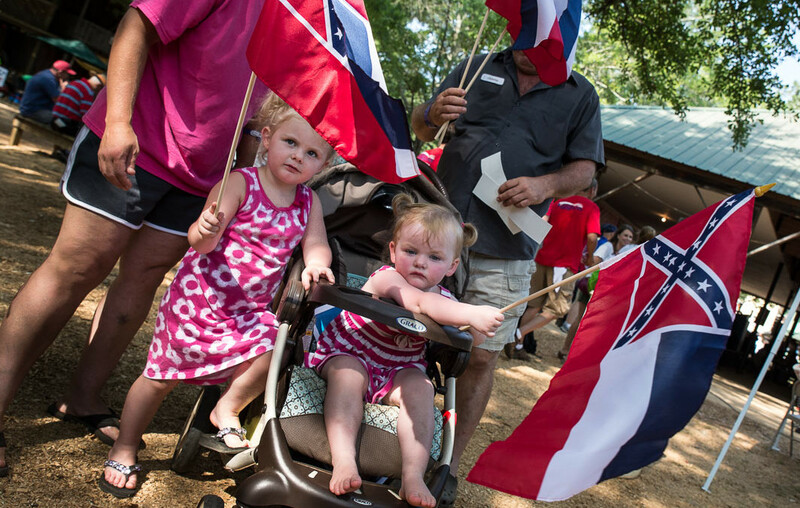 Kali and Paisley Watkins at the Neshoba County Fair in Philadelphia, Mississippi. 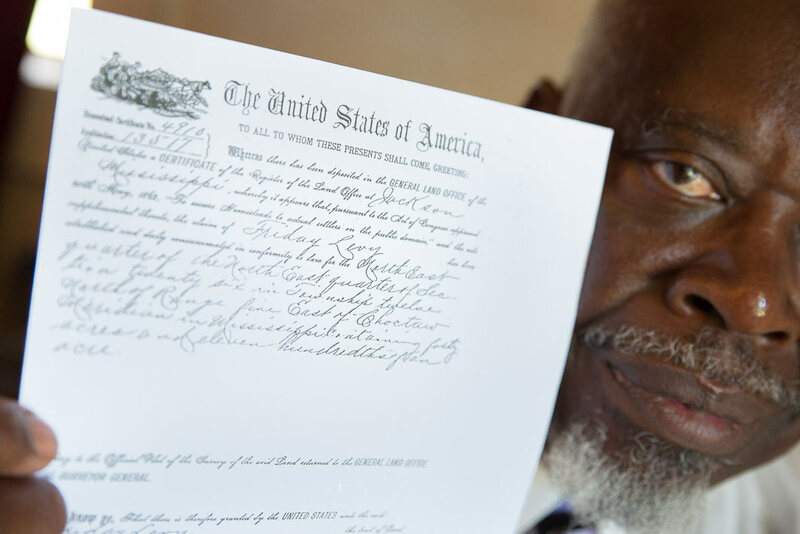 In the small town of Pickens, in the center of the state of Mississippi, William Primer pulled out a copy of the papers his fourth great-grandfather signed for 40 acres of land during Reconstruction. Primer has traced his roots back to slaves during the Revolutionary War, after much research at the Library of Congress and the State Archives of Mississippi. 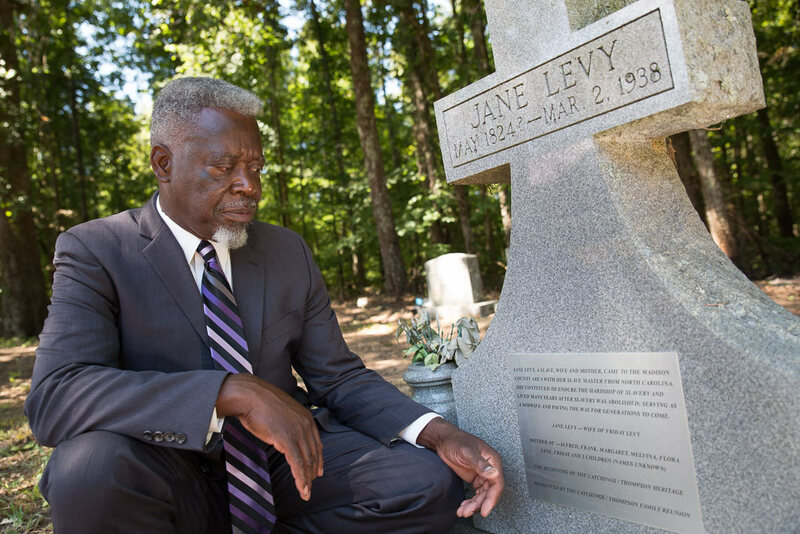 Later, we drove deep into the forests to a small, secluded church, half an hour from his home, to attend Sunday services where his fourth great-grandmother was laid into the cemetery. She was born a slave, as was her husband. William Primer shows a copy of papers his fourth great-grandfather, Friday Levy, signed for the 40 acres of land. 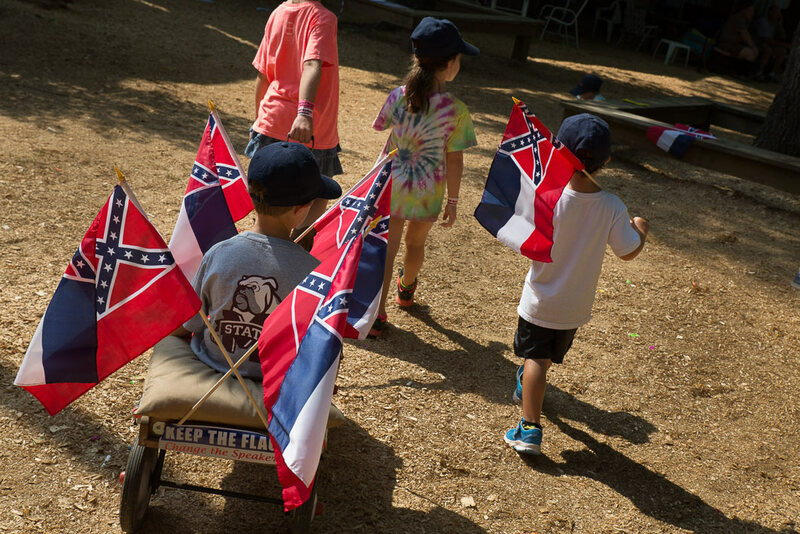 It feels like the Civil War still burns slowly beneath the surface in places here and across the country, in the wake of the Charleston church massacre and the controversy surrounding the Confederate flag. I had a unique opportunity to see this up close during a whirlwind, four-day, thousand-mile trip following the footsteps of The Washington Post’s Neely Tucker. My first day started early in the morning at the Neshoba County Fair in Philadelphia, where it was hot and humid, like standing in an all-day sauna with the blazing July sun beating down. Mississippi House Speaker Philip Gunn speaks as protesters hold up signs calling for his removal because he supported changing the Mississippi flag. 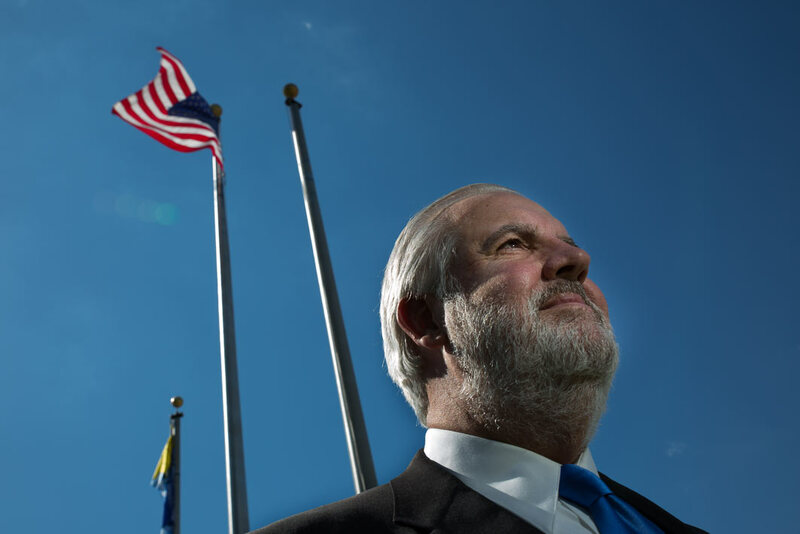 Mayor Bill Luckett of Clarksdale, below the flag pole next to City Hall without the Mississippi State Flag, after he decided to take it down. 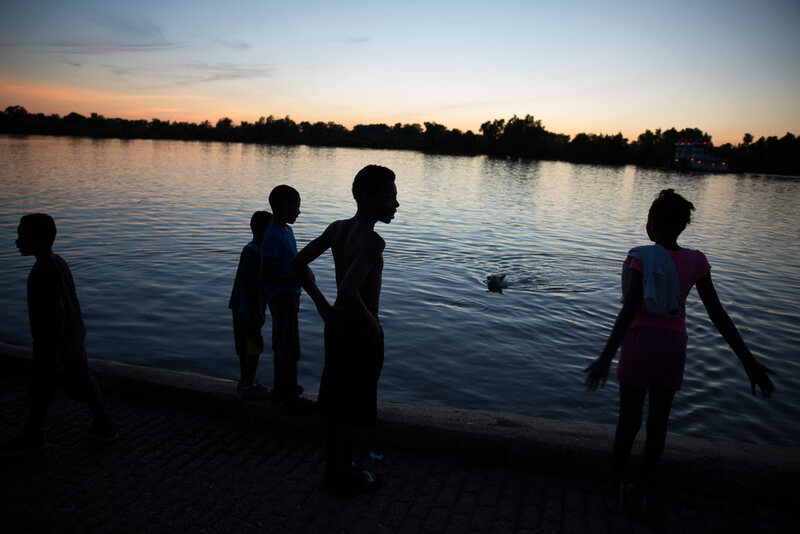 Clarksdale is 71 percent African-American. Several other towns have since followed suit, amid much controversy. The next morning, I headed north to Clarksdale in the heart of the Delta. Mayor Bill Luckett, who owns a blues club with actor Morgan Freeman, took down the State flag flying over City Hall. 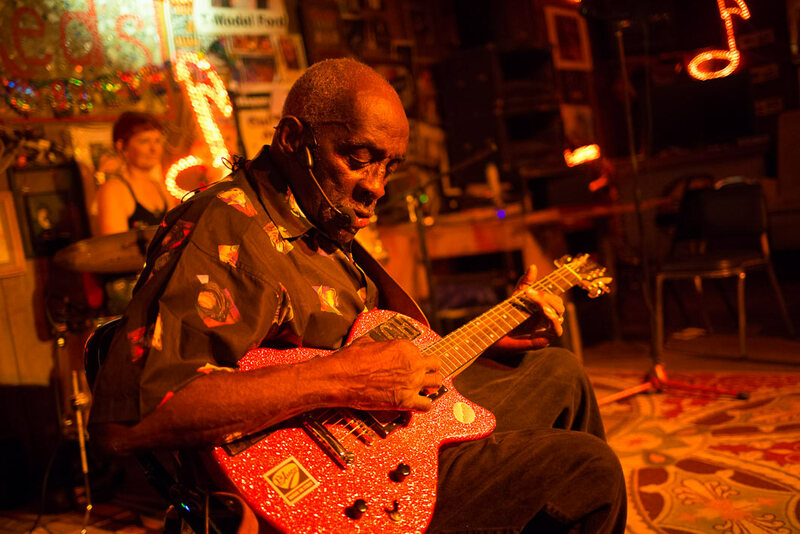 He said, “It’s a sign of divisiveness and a sign of oppression and injustice and some go so far as to call it racist.” That night I visited Red’s Lounge where 83-year-old Leo Bud Welch sang the blues. Inside were tourists from as far away as France. Leo Bud Welch sings the blues at Red’s Lounge. On my third morning I arrived in Oxford, Mississippi, where Robert Khayat, the former Chancellor of “Ole Miss,” the University of Mississippi, gave me a tour of the campus. His body is riddled with injuries from his days as an All-American football player at Ole Miss and then as a Washington Redskin in the 1960s. He went on to Yale, became a lawyer, and then Chancellor. Facing declining enrollment and the perception of declining quality of education, he decided to make drastic changes. 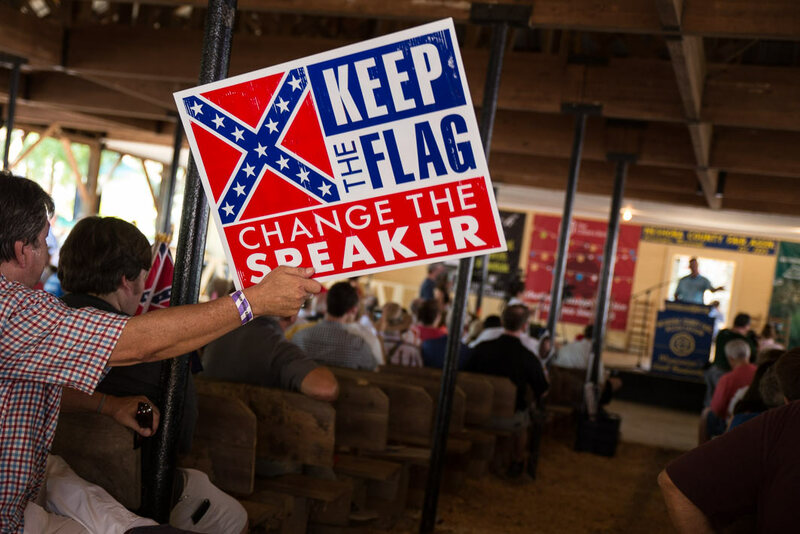 In 1997, he banned the Confederate flag during football games evoking up a wave of anger throughout the state. He joked about the death threats he received, but he helped propel the school academically upwards, and, today, the student body is more diverse now with half from out of state. 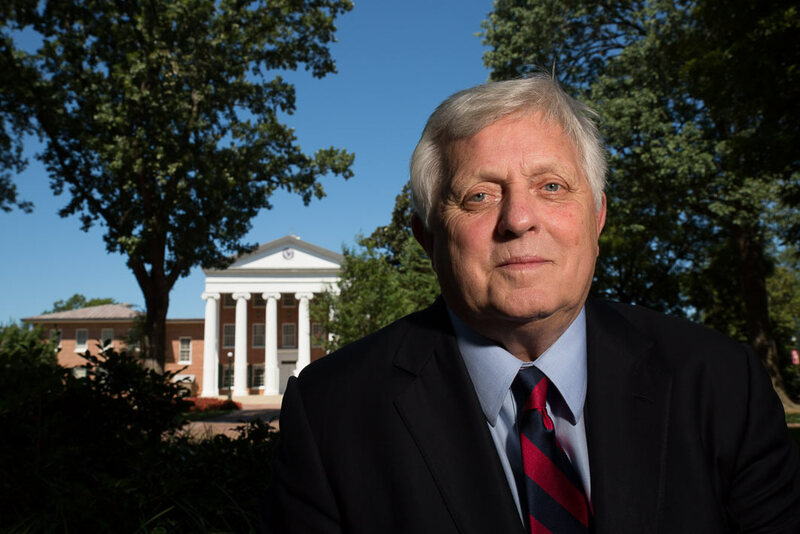 Robert Khayat, former Chancellor of Ole Miss (University of Mississippi), on campus. I finished in Jackson, nestled on the Mississippi River; where Union General Ulysses S. Grant split the Confederacy in half and effectively doomed the Southern cause. I went on to visit the Vicksburg National Military Park and later that evening headed home. Sunset on the Mississippi River.